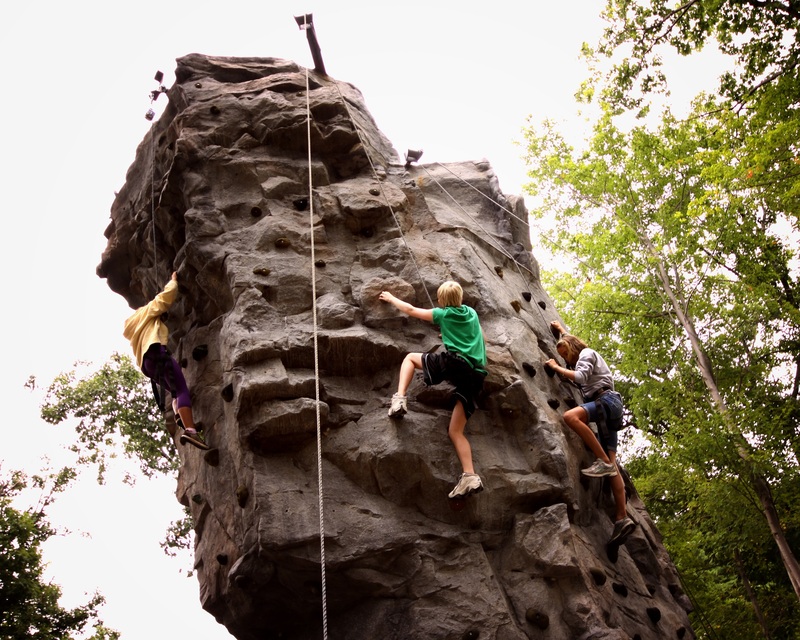 Enjoy an hour of gripping adventure on our 30 foot outdoor rock wall. Embrace your inner thrill seeker as you scale our range of challenging routes. From easy to very difficult, we have a side to match your level of adventure. For those who choose, climbing shoes are available for rental. Belayed by our Adventure Center staff, this is an experience for everyone from 5 to 95! Climbing sessions start on the hour and start very promptly.